In China, horror stories abound of naming gone wrong. Kentucky Fried Chicken famously mistranslated "finger licking good" into a suggestion that actually eat their own fingers. 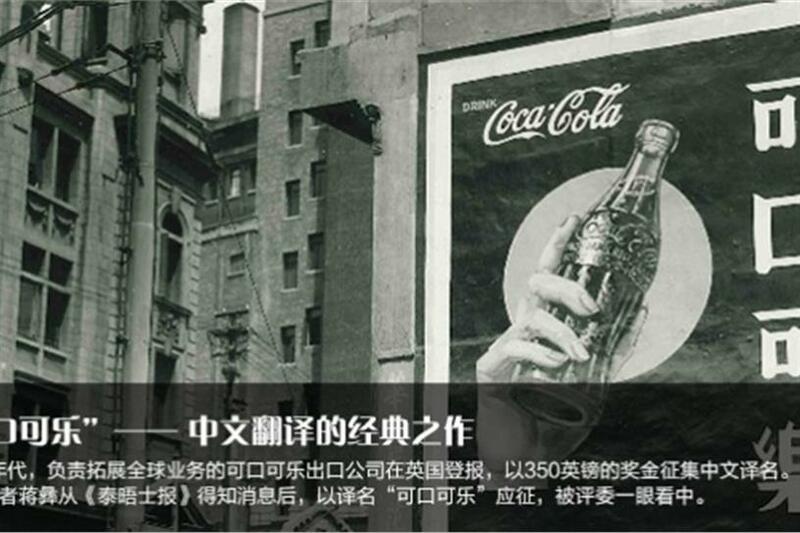 Coca Cola’s original name in China sounded in Chinese as though drinking the celebrated carbonated concoction was like "biting a wax tadpole." While such obvious mistranslations provide valuable cautionary tales for other brands in China, it is the "silent damage" of a poorly considered name that creates greater liability to the brand over the long run. If a Chinese name is turning into a PR disaster, it is usually swiftly replaced with a more nuanced version, as Coca Cola successfully did. However, in the absence of a scandal, many brands persist with a Chinese name that is simply sending the wrong message to locals. The primary pitfall is reducing the important task of a Chinese name to translation. Quite often, translation is based on equating the original meaning into a Chinese version. The result is a name with too many characters and no direct relevance for Chinese consumers — akin to the presentation of brand names similar to biological or anatomical names in Latin. Even perfect translation can burden brands from the outset in China. International fast-food brand Burger King translated its name directly to a three-character equivalent "hanbao wang." However, the name unintentionally mimicked a naming convention for restaurants locally. The character for "king" is often used by local Chinese restaurants to make claims of "being the best." which is greeted with healthy skepticism by Chinese consumers. With Burger King a late arrival in China and facing established international competitors McDonald’s and KFC, its name arguably gave the connotation of a foreign brand trying too hard to come across as a local. This is a handicap in a fast-food category perceived locally as a product that is inherently foreign. It was not the fact that the name was wrong; it just has a connotation that dented the brand’s ambitions of reaching the same status it enjoys in other markets. Some marketers may question the relative importance of a Chinese name as part of an overall strategy for China. Couldn’t you simply build local awareness and engagement based on the brand’s original name? However, in a society increasingly defined by digital engagement, your local brand name needs to be strategically thought through for social media in China, otherwise there is no way the name can create discussion and momentum. To ensure a brand’s Chinese name is sufficiently 'social', consider how the Chinese characters work together. Beyond communicating key attributes of the brand and its product, the name must also create the right impact in terms of sound and appearance. A Chinese name needs to naturally enter a discussion by being easy to say and easy to type. There is an art to a local name not being odd; it requires a deep understanding of local patterns of speech and online culture. To get your local name right it is important to drop the assumption that China has just one language. The development of a national form of Chinese — Mandarin — has been a social and political project, but the reality is that China is a nation of distinct language groups. While a Mandarin name is 'ticking all the boxes’ in Shanghai and Beijing, it may be doing silent damage in other regions with other major dialects such as Cantonese in the South and Sichuanese in the Southwest. Clients with a nationwide focus in China must prepare for the possibility that a ‘favoured’ name may relate to a swear word or negative slang in other dialect groups. Don’t just translate; it is a blind process that will lead to a weird name. Make sure your Chinese name is easy to say. Remember, it needs to be part of local conversations. Keep your name to two or three characters; if you don't, Chinese consumers will shorten it for you, contradicting your original intention. Be wary of how your name looks. Unlike the Latin alphabet, Chinese characters are pictographs, so how characters look in combination is essential to appeal. Make sure your local name communicates your brand essence; first impressions count. Understand the name in relation to your direct and adjacent product categories, as a new brand, your local name needs to be differentiated. Test your name with Chinese consumers as due diligence. Engage an agency with the expertise and ability to check meanings in the main dialect groups. Make sure your Chinese name works digitally to create buzz locally. Check that the name is legally ownable from the start and not at the end of the naming journey.